The Global ManuChem 2019 was back for its 8th year as the leading event for manufacturers in the chemical industry. It brought together over 150 production, SCM & engineering leaders who are responsible for process optimization, lean manufacturing and business strategy in their companies. TrendMiner was there to exchange your knowledge, share insights and strengthen attendee capabilities within the unique interactive event format. TrendMiner team members Lukas Pansegrau and Edwin van Dijk were onsite taking part in the interactive World Café sessions. The sessions were designed to help attendees discuss the issues and challenges that everyone is facing in the industry. 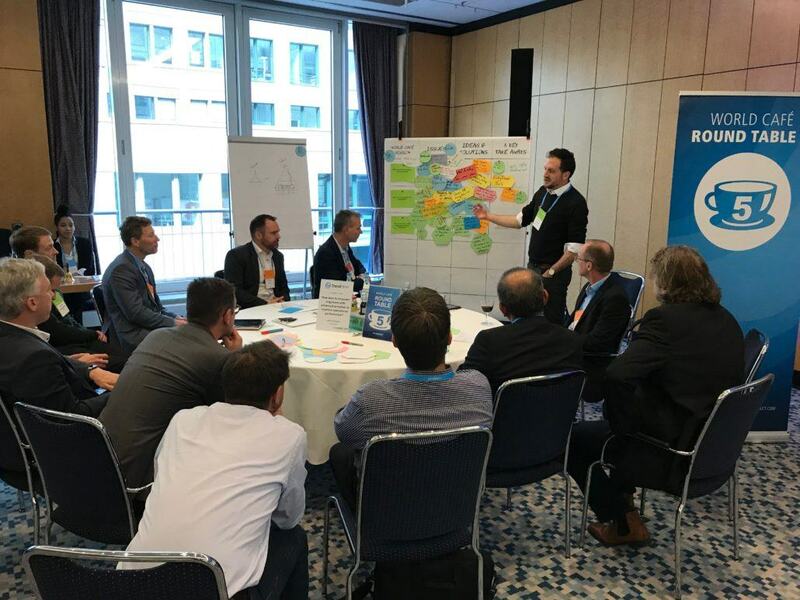 TrendMiner hosted WorldCafé session #5, entitled “How best to empower engineers with advanced analytics to improve operational performance”. In the world of digitalization, data can be captured and applied for many areas within your organiation; from sales, to marketing up to supply chain optimization. An area where data is being captured for years is related to the primary process; the process to produce the products to be sold. To use this sensor generated data you can use a central analytics team, while the process and asset experts work with a standard trend viewer. Perhaps the engineers are using MS Excel to dive a bit deeper into the data searching for ways to improve the production process. Another way is to empower engineers with advanced analytics, enabling them to contribute more to continuous improvement objectives within the scarce time they have in a day. The challenge is to make a sustainable change in the organization where the business users will structurally use advanced analytics and improve operational performance and overall profitability. Where are efficiency leaks in daily operations? How to turn into a data driven organization? What works best to make engineering analytics empowered? For more information on attending future TrendMiner events, or to set up time to talk to someone from TrendMiner about topics covered, contact us here.